She’s looking for a Doctor... and I think she’s found one. The Doctor is in...big time. The season 11 premiere of Doctor Who, featuring the debut of Jodie Whittaker as the Doctor, was a major hit for British audiences. In fact, it was the biggest non-holiday or anniversary episode of Doctor Who in over a decade. 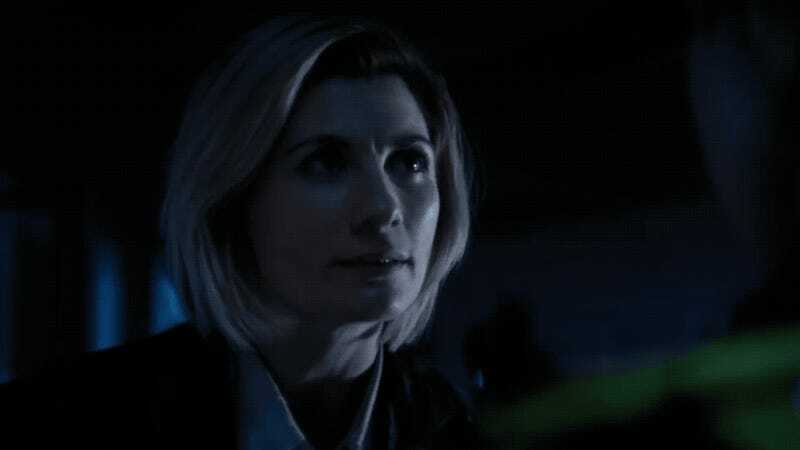 According to unofficial overnight ratings figures—that’s people watching live on the night, not factoring in elements like people recording the episode to watch later, or viewing it officially online—reported by Doctor Who News, “The Woman Who Fell To Earth” was a ratings smash for Doctor Who, garnering 8.2 million viewers on BBC One in the UK, which was about 40-percent of the total TV audience. We’re still waiting to see the audience size for BBC America in the U.S. (note: update below), which aired the episode at the same time as BBC One, as well as how many people watched the episode later on streaming services or through timeshifted recordings—final ratings, which factor in all that, will be available next week. But all things considered, it’s our first empirical sign Whittaker’s debut was a smashing success. We’ll have our recap discussion up in just a big, in the meantime, you can visit our Spoiler Chat to share your thoughts on the episode. Update: According to BBC America, 1.4 million people watched the season 11 premiere of Doctor Who live. Including those who watched it later that day, the episode garnered around 2.6 million viewers overall for BBC America. It was double the audience for Capaldi’s season finale, and the biggest Doctor Who season premiere since the series reboot, beating out the debuts for Capaldi, Smith, and Tennant.